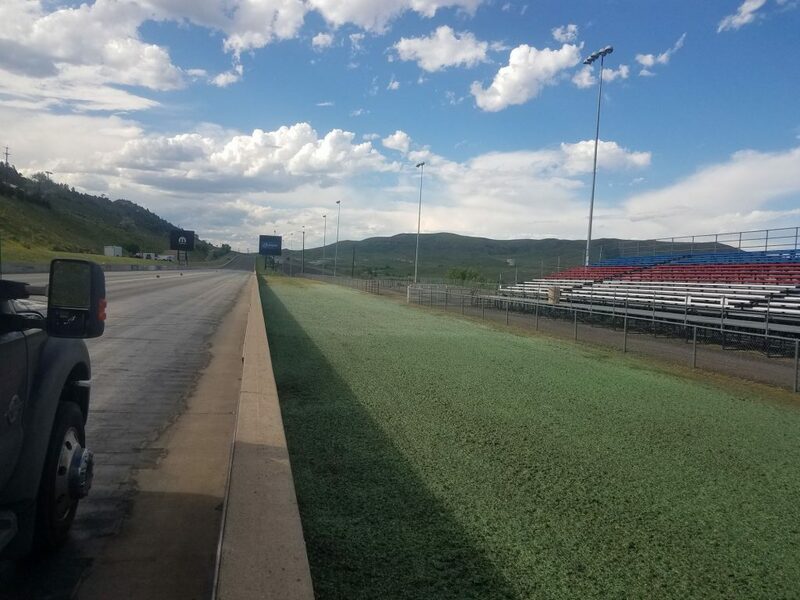 A1 Affordable Hydroseed of Denver, Colorado has 18 years of experience and IS A CERTIFIED HYDROSEEDER BY THE INTERNATIONAL ASSOCIATION OF HYDROSEED PROFESSIONALS. What You Should Know About Hydroseeding? There are many variables in hydroseeding that can vary the price that you should know about. The most important is the type of hydromulch. 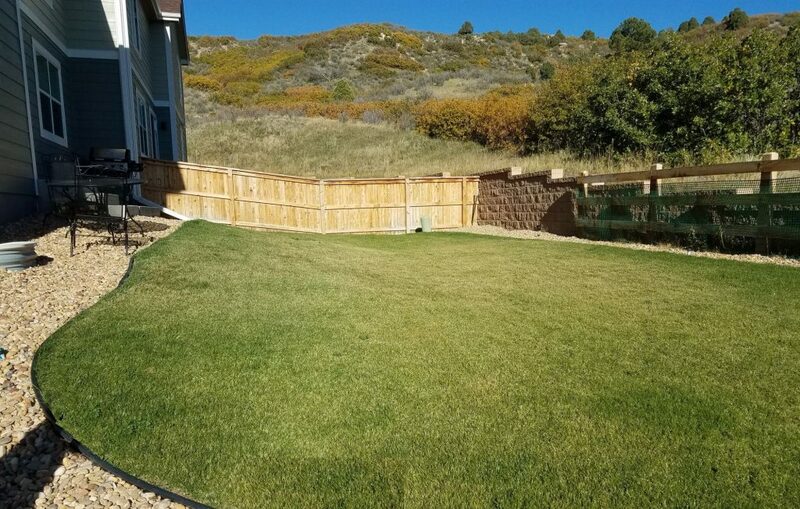 We have found that it is important to use 100% wood fiber hydromulch /straw on all of our jobs to hold water longer, since Colorado is a dry climate. It is also the hydromulch that anchors the seed to the ground and prevents adverse weather such as rain, hail, wind, and dry weather from removing it. The hydromulch also provides a moisture barrier to retain water and excel the germination process. That is why other cheap hydromuches using paper do not work as they decay completely within 2-3 weeks of application. 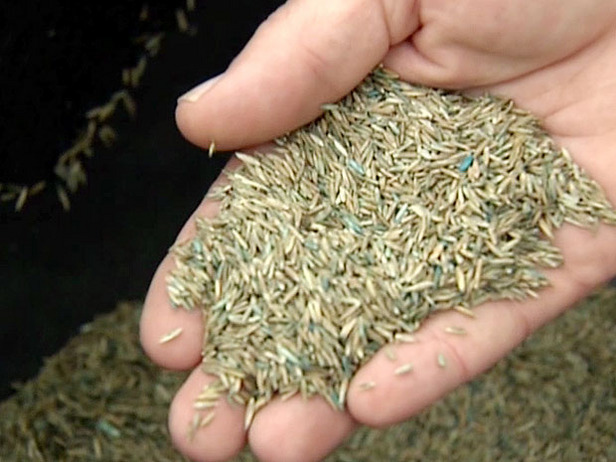 Seed type, germination rates of the seed, and amount of seed applied also affect results. If a seeding contractor is using industry minimum seed rates, the end result will not be what you are looking for. Other ingredients such as tackifiers and polymers also play a factor as they affect the water retention and longevity of the hydromulch. Lastly, our hydroseed professionals are insured, and carry the proper water permits to use hydrants in your area.You don’t want the water company knocking at your door wondering where you obtained the water from to do your large project. Native grasses are low maintenance grasses that grow on their own without a sprinkler system. They are typically a variety of Wheat Grasses, Gramma, Side Oats, Buffalo Grasses, and Fescues. They can be used for outskirts of lawn areas, decorative landscapes, and erosion control. On an acreage property, you can save loads of money (cost is pennies per sq. ft.) landscaping with native grasses rather than covering the areas with rock, mulches or other expensive hardscapes. 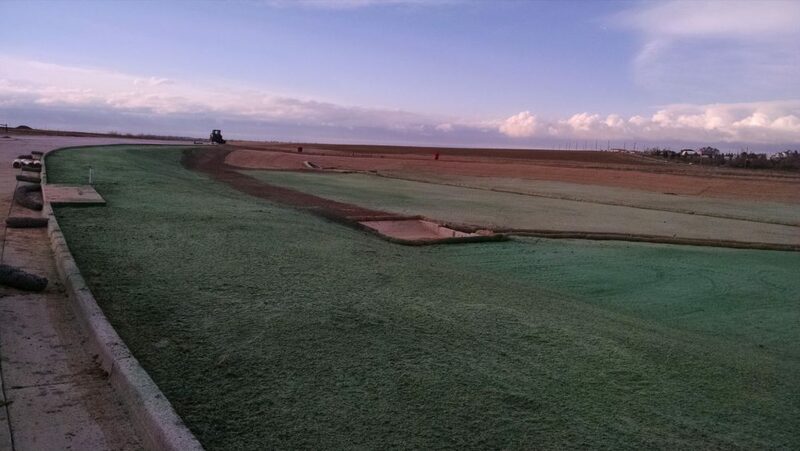 This photo is of a detention pond native grass project we did for a storage company in Aurora at the intersection of Jewell and Gun Club. Wild Flowers can be added to any of our Native Grass mixes, or seeded separate from grasses for beautiful results. Flowers can be put in with the grass mix to give a random natural flower look, or in pockets for key focus areas in your landscape. Some mixes we carry require watering, and some do not. These will be customer specific as to what look you are trying to achieve. 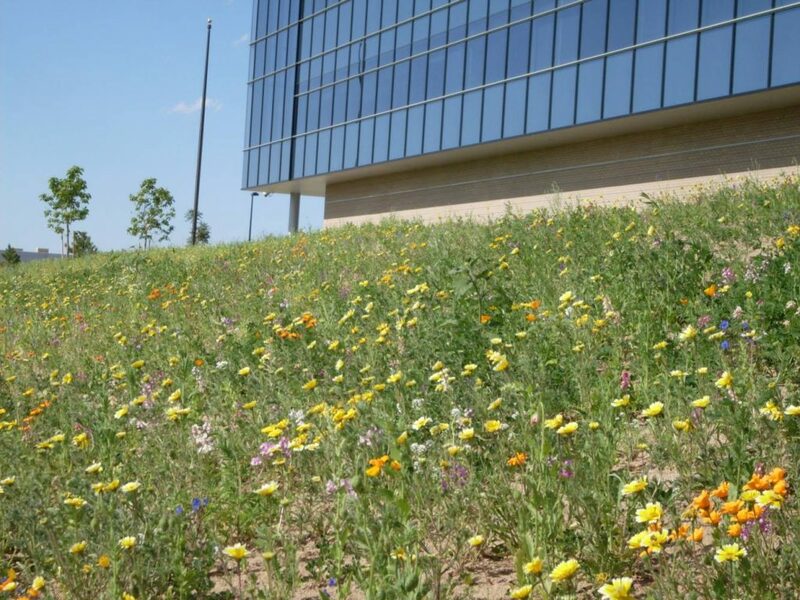 This picture is our wildflower project that was done for the DEA building off Easter Avenue in Centennial. When using Hydroseed instead of sod, you will save at least 75%!!! A1 Affordable Hydroseed also performs drill seeding for large native grass areas. This process is key for non irrigated areas. That is why all of the city and state agencies(CDOT) have been doing it for years. We enhance the results by applying our high grade hydromulch to the process for moisture retention and 100% wind resistance.